Dr. 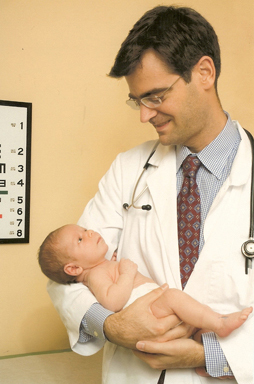 Brewer is a board-certified pediatrician practicing in Santa Barbara since 2002. The office is a solo practice so patients always see the same doctor, and that’s Dr. Brewer. We look forward to serving your family! The practice offers pediatric services, including newborn hospital care, well child care, adolescent and young adult care, school, camp and sports physicals, acute sick visits, immunizations, lab testing, health screening and counseling about health, developmental or behavioral concerns, among others. Our practice is credentialed with the major types of PPO insurance. We also accept Cencal and Medi-Cal. Our helpful staff will directly bill your insurance for you.